That F'ing Monkey: It matters not what you fight, but what you fight for. Open any Mouse Guard issue and the first thing that will hit you is how incredible the art is. There are numerous panels that deserver to be blown up and turned into prints. A lot of it has to do with his backgrounds. The sparseness of a snowy field or the dense underbrush become characters they are so important to the story. The page layout is so fantastic that you usually don’t even need to have text to understand what is going on. I’m not saying you won’t want to read what they are saying though, because the characters are wonderful. Saxon’s need to run people through is balanced by Kenzie’s need to over think everything. Liam is the D’Artagnan of the group. As the story progresses others are introduced. You can tell there are more stories lurking in the backgrounds of almost all the mice the characters run into. We might never get to hear them, but I have a feeling they are fully fleshed out in David’s head. That’s how complete the setting feels. Right now there are a couple ways to get your Mouse Guard fix. The first two story arcs are available in trades. The first story is Fall: 1152 and the second is Winter: 1152 . The first is available in hard or soft cover, but I think you’d regret not going hard cover. Currently in the comic shops is Legends of the Mouse Guard. The setup is that mice in a tavern are all telling stories. 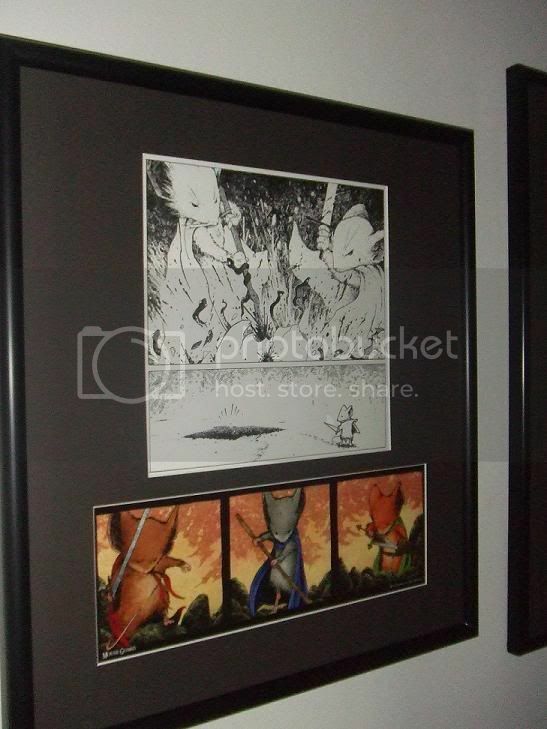 It is framed with artwork from Petersen, but all the stories are written and illustrated by others. Despite the pedigree of the guest artists and writers I was very nervous about other people playing in David’s sandbox. Turns out I was worried for no reason, the book is fantastic. 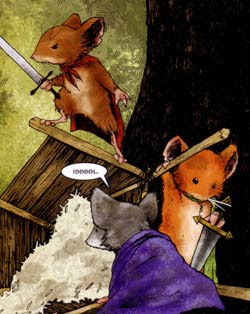 Last but not least there is also a Mouse Guard RPG. I haven’t played it yet. It runs off the Burning Wheel system which from reading is taking me a bit to get my head around. Mostly because all of the other systems I’m already familiar with. I was recently got invited to play in a game, so if that turns out to be more then a drunken invite I’ll post my impressions about the system after I get to test it out. I’m hoping it was just bar talk, but I don’t want to get too excited just yet. 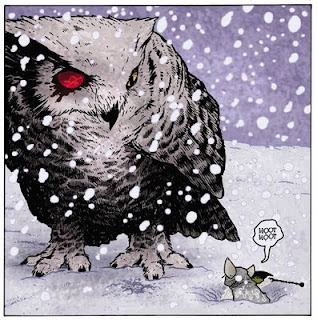 So seriously, if you haven’t checked out Mouse Guard, please do. You’ll thank me later.